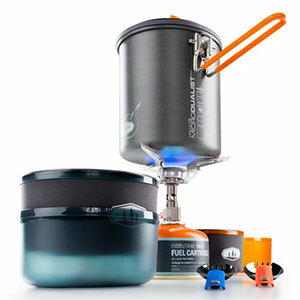 Complete cooking and eating system, including canister stove, 1.4L pot with cup, bowl, and foon for two. Small enough to carry on solo trips, yet big enough to use on family trips with more than two, this kit is best for a group of two who want a complete system. Includes heat/wind shield for stove for real world use. The word complete was aptly applied when they named this kit. 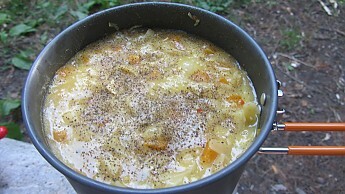 Other than food and fuel it comes with everything two people need to make and eat meals. The entire kit packs down well including a very functional, albeit somewhat finicky wind screen. There is room inside to carry a 110g fuel canister which is nice for keeping everything together. 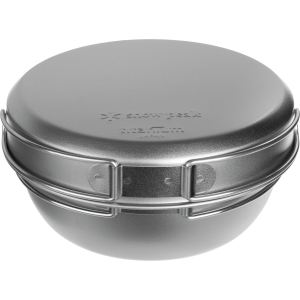 The folding handle holds the lid in place for storage, then flips down and locks securely in place for use. The coating on the handle keeps fingers safe. Note the handy diagram on the side of the pot in case you forget how to get everything stowed away when it is time to pack up. 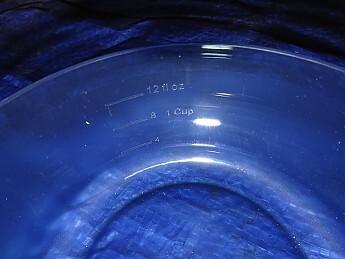 Measuring marks in metric and imperial units are molded into both the cups and bowls. The GSI foons are made of two pieces which slide to collapse and can be disassembled for cleaning. 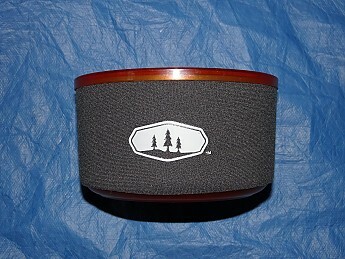 (0.3oz/8g) The lid, cups, bowls, and foons are all made of BPA-free polypropylene. See the video below for more detail on how the heat and wind shields work. The entire system was used extensively over the summer and fall months. It was used on family trips to Vermont and New Hampshire with my wife and daughter and on solo trips here in Maine and in New Hampshire. I also did some boil tests under controlled conditions at home. 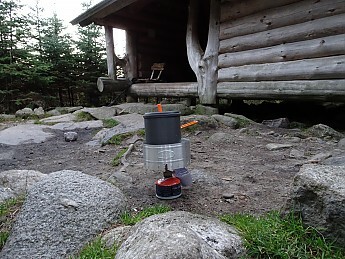 The Pinnacle canister stove looks and feels well engineered. Its functionality backs that up. The valve has slightly more than 360° of range allowing the flame to be fine tuned. The base of the stove presses against standard canisters discouraging over tightening. 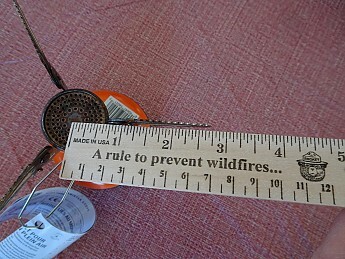 The burner measures about an inch across. The openings are about 1/32" with a screen mesh just behind to distribute fuel evenly across the burner head. 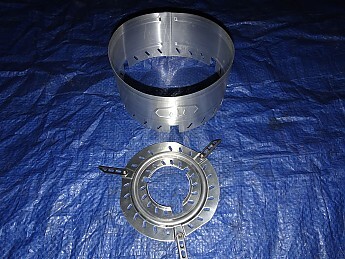 With the pot supports extending 2.75 inches from the center there is good stability for the 5" diameter pot included in the set. 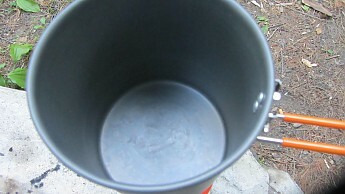 I also used my GSI Kettle with a 6” base with good results. 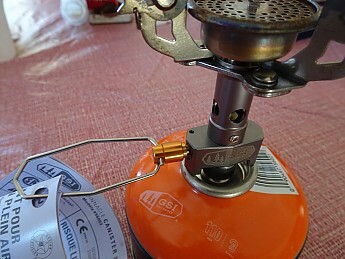 See the video below for more detail on how the stove sets up. 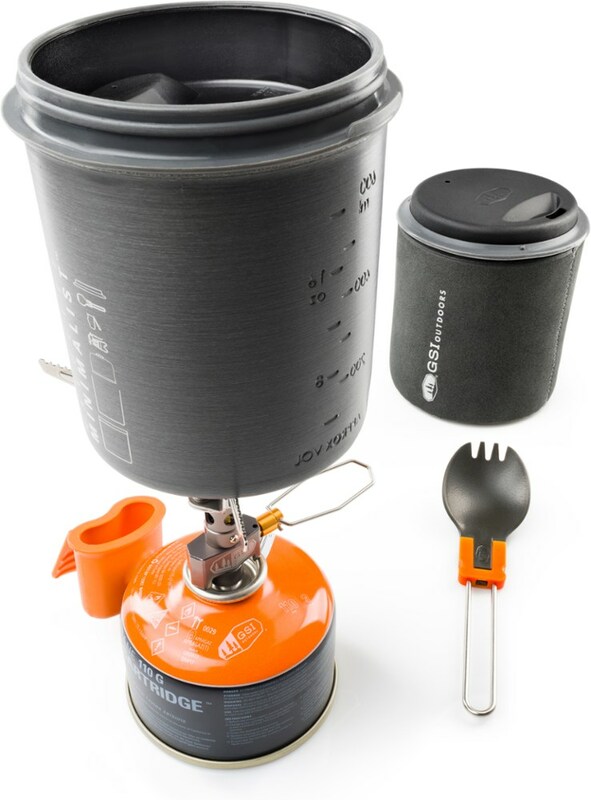 The 1.4L pot is probably more than most folks would need for two people who just need to boil water, but it has room enough to do some actual cooking. For this family trip in the Adirondacks of Eastern New York we did just that, starting out with sautéing peppers, onions, and garlic in olive oil. Chicken, noodles, and a thick sauce simmered over the Pinnacle stove looking good enough to eat show that you can do more than boil water or rehydrate prepared meals with this combo. Simmering might not be the exact term to use, as keeping the pot bubbling when it was that full meant burning a few noodles to the bottom. Still, a darn fine dinner was had by all. Not the clearest of pictures, but I think you can see that the pot was not ruined by this experience. I left a small amount of water in the bottom of the pot while we went for an after dinner walk. Admittedly we were probably out for an hour or more, but on our return I was able to easily wipe the pot clean with a paper towel leaving it looking as seen above, though in better focus as I recall. The windscreen can be challenging to get set up (see video), but it definitely makes a difference. I’ll get into some numbers later from tests I ran in the garage, but this picture was taken on a cold and windy evening outside the Garfield Shelter on the Appalachian Trail in New Hampshire. This spot was being blasted by gusts of wind coming down from the summit hanging above the camp. Just the sort of weather that makes getting a simple boil a long term project. Not this night, as I got a rolling boil within just a few minutes. There isn’t a lot to say about the function of the rest of the kit other than it does what it is supposed to, but I will make a few quick points. The insulating quality of the cup works fine in general conditions, but doesn’t keep things warm long if temperatures are on the cooler side. The low profile cup and the sip-through lid take a little practice getting used to. Getting the mechanics figured out helps to avoid stray drips. I've had issues at times with the neoprene insulating ring on the cup retaining moisture. A minor nuisance if it is able to dry before being packed away, but can lead to a musty smell on trips where conditions didn't allow it to dry out. 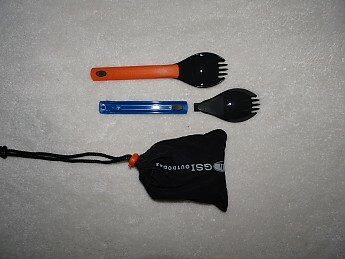 The Foon, which is GSI's collapsible spork is something that people either love or hate. Certainly light and small they are easy to carry. Fully extended they are roughly six inches long so reaching to the bottom of a Mountain House or freezer bag can be a stretch. Because of how the pieces slide together there are spots on the back of the handle that can retain food residue and be challenging to fully clean. Personally I find them to be a functional eating tool. 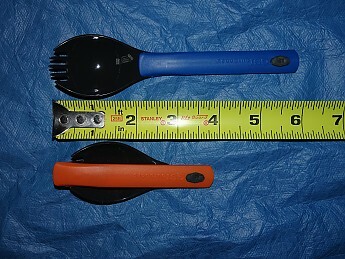 The spoon portion is emphasized with the tines relatively small. This makes the foon great for morning cereal with milk or eating soups. I generally will just lick the entire thing clean, front and back, after meals so the cleaning issue doesn't bother me. 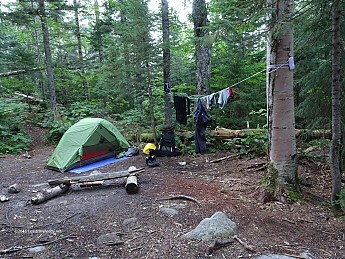 Those looking to achieve a higher level of camping clean will want to take a moment to do a more thorough job, perhaps separating the two parts. I don’t have access to a well equipped laboratory, but I thought I’d run some tests and put some numbers together for what they are worth. In no way should these numbers be considered to be science, gospel or anything more than an accumulation of anecdotes. 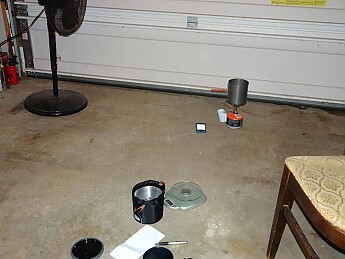 That being said, I set up a series of tests in the garage using a stationary fan set on medium speed and aimed at the stove on the floor. Air temperature was measured at 47°f and each boil was done with 16 fl oz of water taken from a container of spring water stored outdoors so likely somewhat below that temperature. The fuel canister was weighed before and after each test to calculate the amount used. I attempted to set the valve control to the same point for each test. 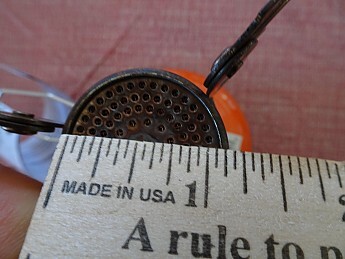 Boiling was arbitrarily considered to be complete when good sized bubbles were forming and this standard was roughly verified via a meat thermometer showing roughly the same result after the burner was turned off and the probe was moved through the water without touching the pot. Data, err anecdotes, from tests that didn’t reach high enough on the thermometer were discarded. 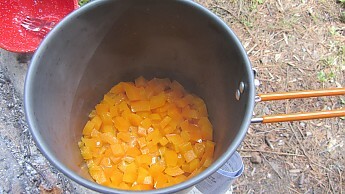 Pot and stove were allowed to cool fully between tests. Comparing these numbers against one another gives some support to saying the shield has some benefit even when it isn’t windy and definitely seems to help when there is wind. Boil times were impacted less than fuel consumption which seemed to really go up in unshielded wind conditions. 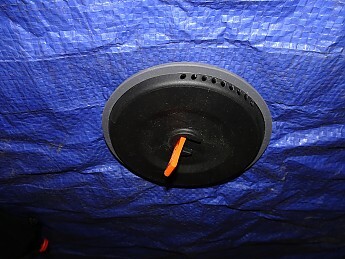 Video shows details on stove and wind screen set up as well as a look at the entire kit. I gave the GSI Microdualist Complete set a 4-star rating based on how it worked for me over an extended test period. While most all components worked very well the issues with setting up the wind screen and the continued issue of the cup insulator trapping moisture were enough to bring my rating down a full notch on the scale. These seem to be areas GSI could look into improving. Finding a more secure way to assemble the wind screen should be a priority with a change to the shield being easiest I'd imagine. 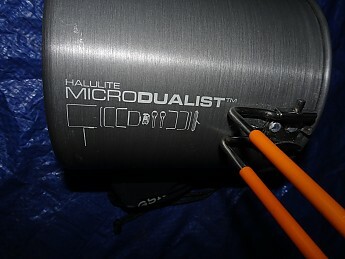 Having owned and used a GSI Dualist kit for quite a few years I was very familiar with the kit other than the stove. The Microdualist scaled everything down a bit, the pot went from 1.8L to 1.4L as an example. This squeezes the same basic functionality out of a slightly smaller, lighter package. I did notice that difference when putting this kit into my pack each time. There also have been a few notable improvements from the original Dualist. 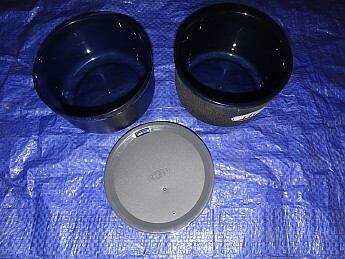 The pot lid has been reworked with a flexible ring around the edge. This not only makes for a better seal, especially when using it as a strainer, but protects the lid from damage in the pack. The lid material itself has also changed I’m assuming because the older more brittle plastic version was prone to cracking. The pot handle also has been improved. 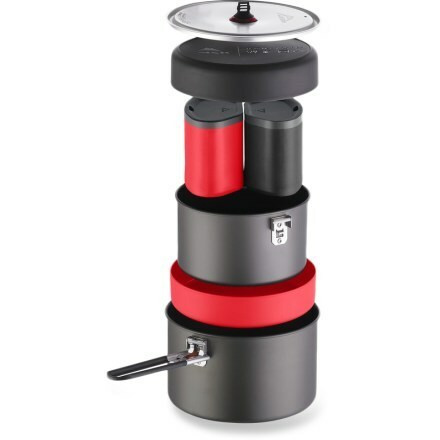 It uses the same basic structure but now snaps into both storage and cooking positions with authority, locking firmly in place. The lids on the cups also have been changed to snap on tighter, though I wish they’d addressed the issue of the neoprene insulator ring soaking up moisture. My original set has taken on a musty odor at times when that ring remained wet on extended rainy weather trips. The Pinnacle stove performed pretty well in my opinion. It carries easy and the stove itself weighs slightly (0.2oz) less than my MSR MicroRocket. The two stoves compare in terms of fuel consumption head to head. The addition of the wind screen clearly boosted efficiency enough to warrant carrying the additional few ounces. Though meant for two people I have also used the kit on family trips with my daughter along. We were able to cook meals from scratch for three in the pot. For eating we just repurposed one of the cups as a bowl and added an extra foon from my Dualist kit. 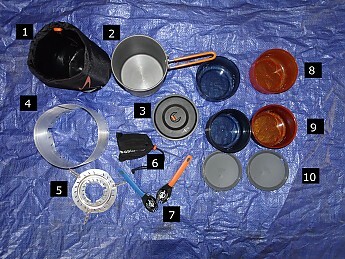 I also used the kit on solo trips where I swapped out one of the cup/bowl combos for a larger fuel canister and the insulated mitt I use to keep my freezer bag meals hot while they rehydrate. 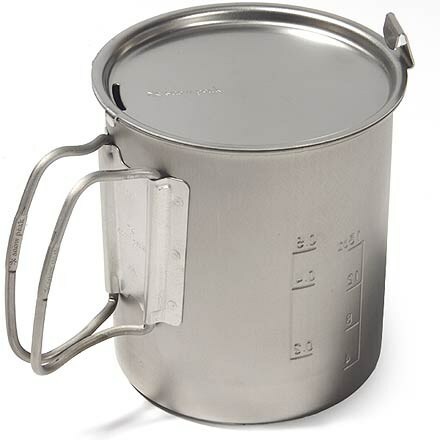 1.4L is more pot than I need solo most of the time, but let me store everything inside it unlike when I carry my 1qt kettle. 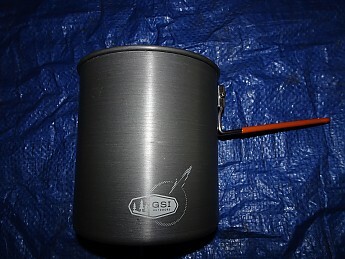 It also is a great size for cooking soup on cold weather trips. Overall this kit is great for those who want to have everything they need in one simple package. True ultra light folks would find this kit to be overkill, but for people who are willing to carry the roughly 20oz total weight of this package it has everything two (or more) people need to cook and eat well on trail. GSI foons are a joke. They're flimsy and unreliable. Having said that, my experience with the Halulite soloist is excellent. Just hate the foon. I didn't mention you by name but definitely had your hatred for the foon in mind when I said that folks either love em or hate em G00SE :) That said, I've been using them for years and I'm not exactly malnourished. They are short, that makes them messy at times, but I've never had them fail. Thanks for the thorough test, LoneStranger. I always have mixed feelings when I see sets like these. 1) Look at all the pieces you get in one set that work together, presumably for less than you might pay separately. 2) But, do you want all of those pieces and would you have bought them or something similar individually? What do you think of the value of this set at a $99 price? If you are a minimalist this is clearly too much stuff, but for average folks it crams everything you need into an easy to carry package. 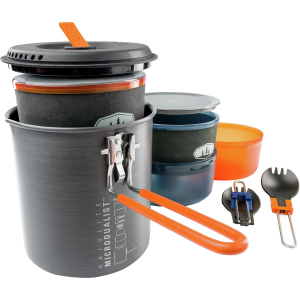 Folks just starting from scratch or replacing heavier mess kits can be covered in one shot. 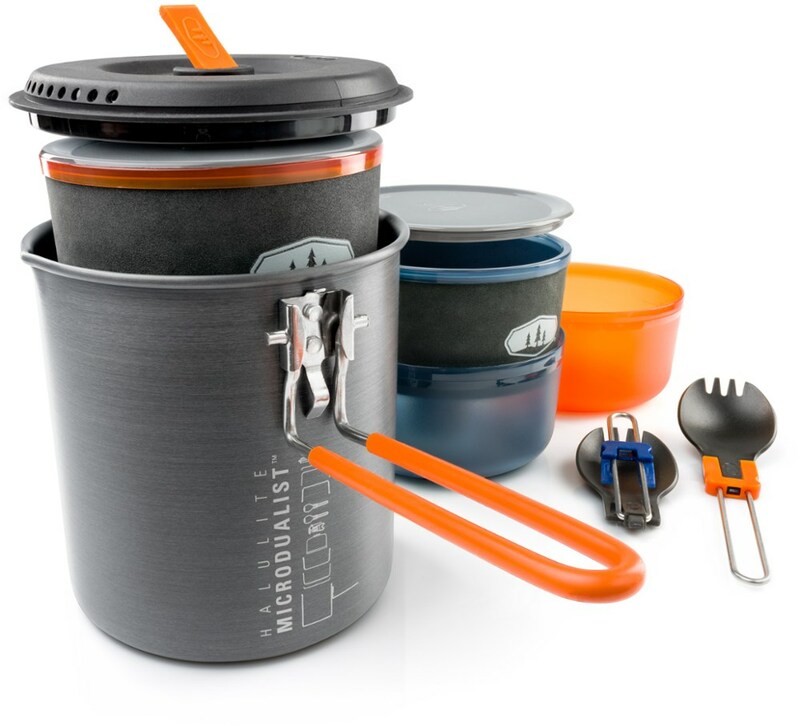 Considering there is a bit of a discount buying this package over buying the stove and mess kit separately I'd say it is definitely good value for those looking for a simple and convenient full system. Advanced gram counters are likely to leave half the kit at home and drill holes in the foon handles so they might answer that question differently. That has to be one of the most complete reviews of a product I have ever seen, super nice job. That's what I expected you'd say, LoneStranger! The GSI Outdoors Halulite Microdualist Complete is not available from the stores we monitor. It was last seen October 24, 2017	at CampSaver.com.